We’ve found great deals at 957 hotels! 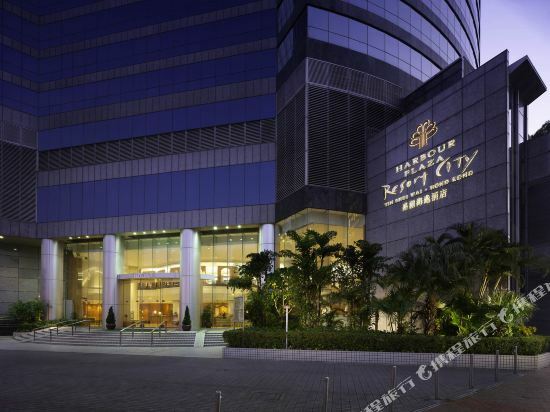 Harbour Plaza Resort City is located in the northwestern New Territories, within walking distance of the Tin Shui Wai MTR station. Yuen Long Old Market is a 5 minute drive from the hotel. This Hong Kong hotel features a range of guestrooms and serviced suites which offer amenities including cable and satellite TVs, IDD telephones, in-room safes, individually-controlled air-conditioning and broadband Internet access (at an extra charge). Some rooms also feature kitchenettes and are equipped with cooking utensils. On-site dining options include Hakka minority food at Hakka Hut, traditional Cantonese cuisine at Moon Ting Fong or international fare at New York New York, which offers a daily American breakfast buffet. A number of function rooms are located on-site which can accommodate between 50-100 guests. Harbour Plaza Resort City has a fully equipped fitness center with an indoor running track. Other recreation facilities include outdoor swimming pool(Outdoor Swimming Pool at seasonal operation),tennis courts and a putting green. Guests can also indulge in the hotel’s spa and sauna rooms. 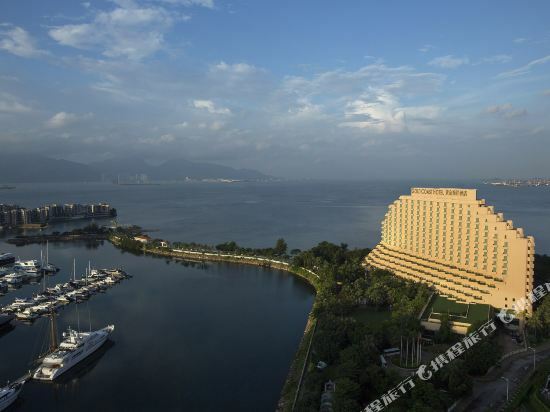 The L'hotel Nina et Convention Centre, situated on the Tsuen Wan waterfront, offers views of Victoria Harbor, Tai Mo Shan, Tsing Yi Island and the Rambler Channel. The hotel is conveniently located near the Tsuen Wan KCR West station as well as the Tsuen Wan, Airport Express and Tung Chung MTR stations. Guestrooms feature standard amenities including LCD TVs, hairdryers, fridges and IDD telephones. Some rooms feature balconies or are equipped for disabled guests. Free Wi-Fi is available in public areas of the hotel. This Hong Kong hotel houses a fully-equipped business center as well as several function rooms which are suitable for conferences and meetings. Guests can enjoy a range of dining and drinking facilities, with the Cafe Circles offering western-style meals three times per day, the Ru Chinese Restaurant serving traditional Cantonese and Shanghainese dishes and the Trader's bar hosting regular live entertainment. The hotel's health facilities consist of a fitness center and an indoor and outdoor swimming pool. Situated in the heart of Causeway Bay, Hong Kong's vibrant commercial and shopping district, the deluxe 5-star Regal Hong Kong Hotel is a 5-minute drive from Hong Kong Convention & Exhibition Centre and a 45-minute drive from Hong Kong International Airport. Commanding spectacular views of Victoria Harbor and bustling Causeway Bay, each room is European Baroque styled and furnished to the highest standards. Escape the urban landscape of downtown Hong Kong and retreat to a beach resort. Only 40 minutes from Central, the Hong Kong Gold Coast Hotel is a welcoming seaside oasis with lush tropical gardens that set the stage for a relaxing holiday, an idyllic wedding or a lively conference. The hotel's 453 rooms and suites feature tranquil views of the sea or neighbouring Gold Coast Yacht and Country Club, allowing guests to be comforted by the cool sea breeze as they enjoy the genuine warmth of our service. In terms of transit, regular shuttle buses run between the beachfront hotel and downtown Tsim Sha Tsui in Kowloon, Tsuen Wan or Tsing Yi Airport Express and MTR station. With Hong Kong’s ever-efficient taxi service, you’re connected to the must-visit tourist sites and popular destinations. 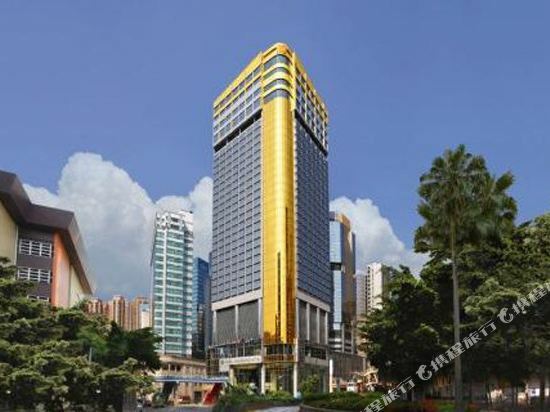 Situated just steps away from the Wanchai MTR Station on Hong Kong Island, the Empire Hotel lies at the heart of the Wan Chai Central Business District, in proximity to the Convention and Exhibition Centre as well as popular shopping havens just five minutes’ walk away such as Times Square, the Causeway Bay Plaza II and Admiralty’s Pacific Place. Ctrip guests can enjoy express check-in and checkout service at designated counter. The hotel offers a vast range of rooms and suites which are fully equipped with a select range of in-room facilities and amenities for both business and tourist travelers. All rooms have high-speed broadband Internet access and flat screen TVs. Those on the hotel’s lower floors offer beautiful city views while over one-third offer sweeping harbour views. Guests can opt for a casual dinner or afternoon tea in the hotel’s lobby lounge or head to the first floor where Café 33 on Hennessy welcomes diners for a blast of international flavours in a buffet style. A business center is on-site for guests traveling on business. Tucked away on the rooftop is a lovely outdoor swimming pool and the hotel has a fully equipped gym to boot. Other leisure facilities include a sauna and quality massage parlour. 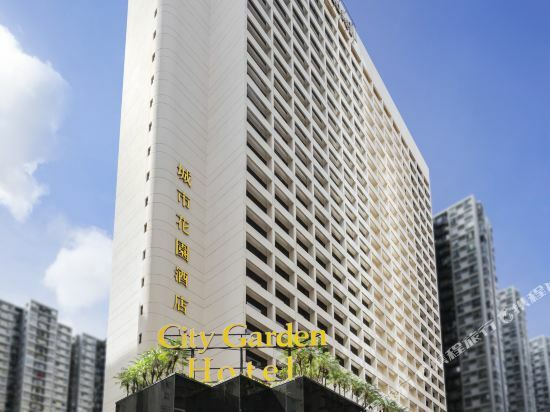 Towering over busy North Point, and only minutes from the Fortress Hill MTR Station, the City Garden Hotel is a very convenient location on Hong Kong Island. 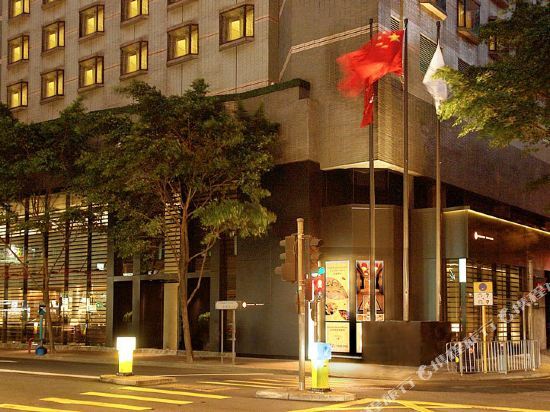 This Hong Kong hotel is near to the Hong Kong Convention and Exhibition Centre in Wan Chai, shops in Causeway Bay, and rapid road access to Central and Kowloon via the Island Eastern Corridor freeway. Guestrooms are designed and furnished to provide a luxurious and relaxing experience during your stay. Each room is equipped with modern amenities, such as Internet access and in-room safes. As for dining options, this Hong Kong hotel has a wide and premier set of options. Guests can enjoy the Michelin first star award-winning Cantonese restaurant YUE, the casual, but equally delicious Garden Cafe, or visit Singaporean and Malaysian favorites, Satay Inn. Business facilities include a fully equipped business center and various meeting rooms for you to conduct any form of conference or event. Regarding relaxation, the Hong Kong City Garden Hotel offers a comprehensive range of facilities including an outdoor swimming pool, 24-hour gym and a sauna. Hong Kong is famous for its high degree of prosperity and traditional culture. There are many shopping districts along Victoria Harbour, attracting millions of shoppers. Hong Kong is home to the first Disneyland Resort in China and the famous Wong Tai Sin Temple. Hong Kong’s delicious cuisine and unique tea restaurant culture can be found around the world wherever you find Chinese communities. Hong Kong can be divided into four regions: Hong Kong Island, Kowloon Peninsula, the New Territories, and the Outlying Islands. 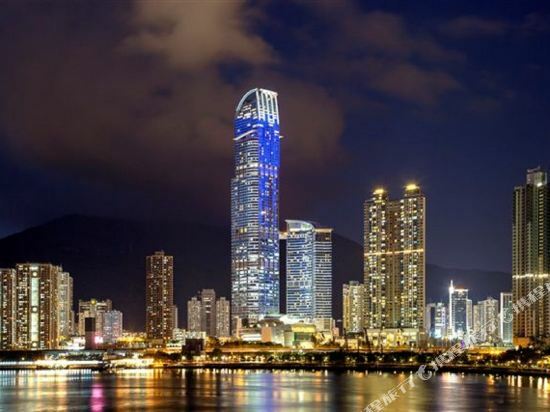 There is also a great choice of hotels in Hong Kong so you’re sure to find your ideal accommodation. Victoria Harbour and Victoria Peak are well-known symbols of Hong Kong. Whether you are taking a trip to Victoria Harbour with the Star Ferry, or taking a cable car to the top of the hill overlooking Hong Kong and visiting Madame Tussauds, you can always experience Hong Kong’s uniqueness and charm. Like its culture, Hong Kong cuisine blends the essence of different food cultures from around the world to develop its own unique style. On the streets of Mong Kok and Central, you’ll find delicious food and milk tea everywhere. The seafood of Sai Kung, Cheung Chau Island and Lamma Island is both affordable and tasty. Sheung Wan, Central, and Wan Chai have many Michelin star-rated restaurants waiting for you to explore. In general, popular routes to explore Hong Kong include: heading to Lantau Island to visit Hong Kong Disneyland, Tai O fishing village, Ngong Ping Tramway and Tian Tan Buddha; heading to Lamma Island for a walk, to eat seafood and visit the arts and crafts shops; and heading to Cheung Chau Island to watch the folk festival "Da Jiu Festival". The three major shopping districts in Hong Kong are Tsim Sha Tsui, which has a wide range of goods, Central and Causeway Bay, which specializes in high-end stores, and Mong Kok, which is a major shopping street offering cheap commodities. There are a lot of outlying islands in Hong Kong. On weekends and public holidays, people will take a trip to an outlying island with the whole family for some fresh air, seafood and tranquility. Hong Kong is a heaven for foodies, where you can find yummy foods from all over the world: whether it is traditional Cantonese food, Hong Kong-style tea restaurants, street food, food stalls, or the traditional cuisine of the Mainland, European cuisine, Western food, Japanese and Korean cuisine, Indian food and more. If you want to have a taste of old Hong Kong, milk tea, buttered pineapple buns, shrimp dumplings, cha siu bao, egg tarts, and rice rolls can’t be missed. If you don’t want long-distance transfers to other Asian countries, why not come to Hong Kong to taste authentic Vietnamese rice noodles, Thai Tom Yum Goong, Malaysian Bak Kut Teh, Indian pilaf, and Japanese cuisine? If you don’t have a long enough holiday to visit Europe and the United States but are keen for Western food, you can go to the major restaurants in Hong Kong to have an authentic French or Italian meal. If you are crazy for seafood, Sai Kung's seafood street, seafood stalls in Lamma Island, etc. have the freshest ingredients and the perfect cooking method. In Hong Kong, every foodie can be satisfied. Hong Kong can actually be divided into two parts: one is the urban area where Hong Kong Island and Kowloon are the core, and the other is the outlying islands represented by Lantau Island and Lamma Island. If you are tired of the crowded urban areas, you might as well go off-island to enjoy a leisurely stay, which is totally different from the hustle and bustle in the downtown area. The purity of the beach will make you suspect that it is much further south than Hong Kong Island. Here, people with sunglasses and T-shirts walk their dogs, ride bicycles, and breathe the fresh air of the countryside. There is a joyous atmosphere in the park and on the beach. There is soothing music playing in the seaside cafes. People are here to relax and enjoy the scenery. Hong Kong has a subtropical climate with four distinct seasons. Hong Kong is suitable for a visit in all seasons. The temperature is pleasant from mid-September to the end of February, but hot and humid from late May to mid-September. It rains most from May to September, accounting for about 80% of the annual rainfall, of which the most abundant rainfall is in August. Purely considering the climate, the best two seasons for visiting are March and mid-October to mid-November.